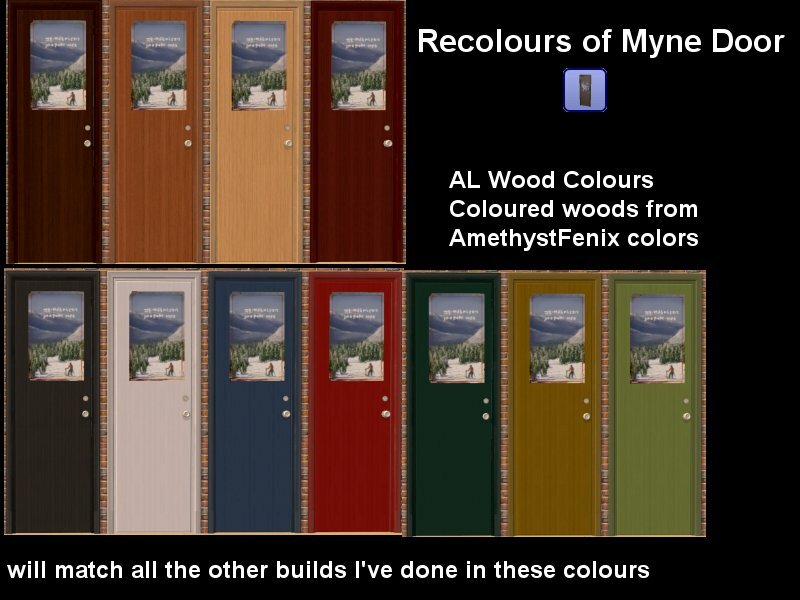 So I wanted white recolours of the Myne Door which apparently is not repositoried from the Value door from the base game. 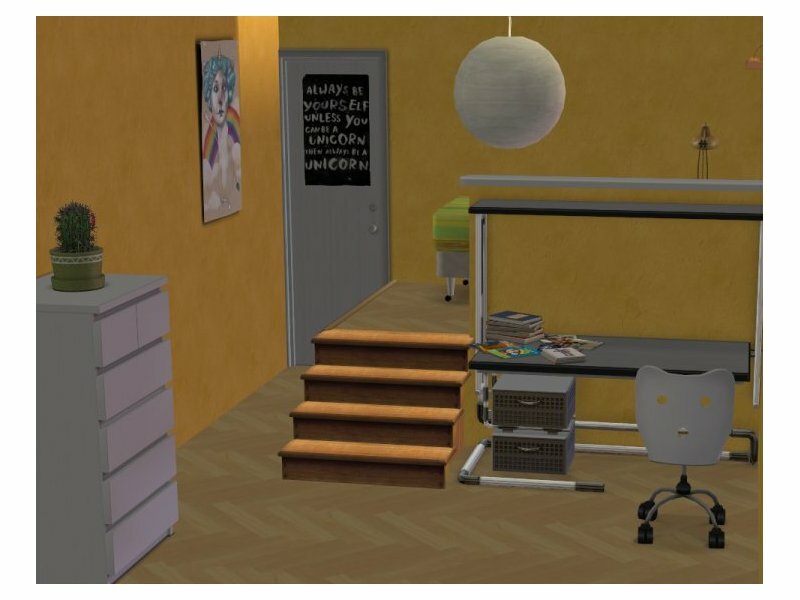 And given that I'm incapable of doing a single recolour I did it in all the build colours that are useful, and match all the other build colours that I do. 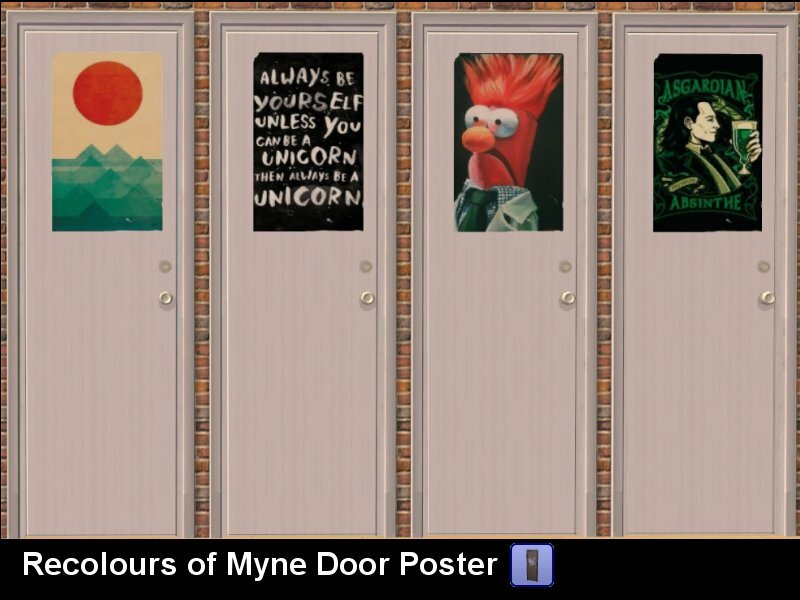 I also wanted some decent posters for the back of the door. So I did do 4 of them. Credits: Pictures from the Interwebs and Google - no idea exactly where I got them. I think one or two are deviant art? Colours - AmythestFenix and AL Woods. And Result! I actually managed to keep the number of zips under the number allowed this time! Woot! I love the unicorn one! I was giggling about it earlier while I was scrutinizing your handywork. Thanks!